"Spatially, The Serving Library’s collection of objects has been removed from its semi-permanent position lining the walls and stored away. 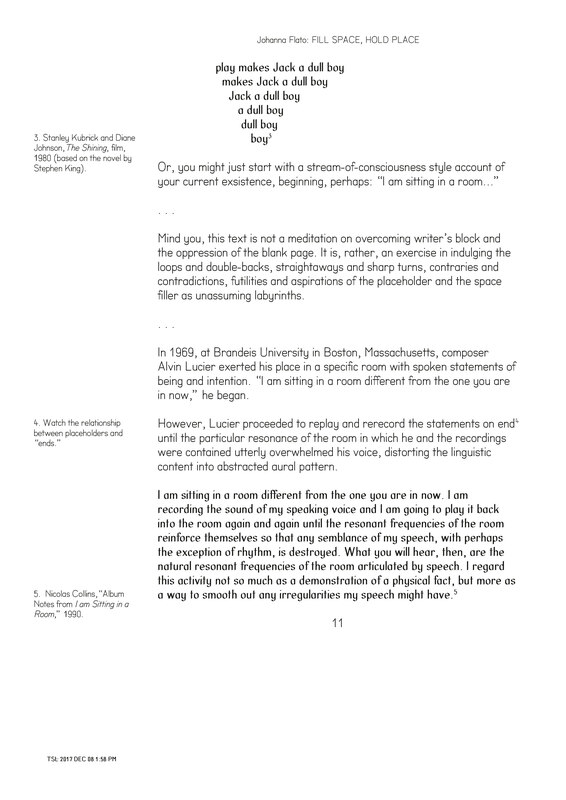 Having served as a frontispiece for a bulletin or Dot Dot Dot text, each object is embedded in iterative webs of anecdote which the caretaker imparts. A resulting thickness of metadiscourse at once illuminates and obscures the collection. It is this bind of object and metadiscourse that we endeavor to dismantle. By restricting the objects in a giftschrank, these dualities of remedy and poison, of remembering and forgetting, of publishing and archiving, can be parsed and investigated. In the resulting void, shorthands stand in for the objects removed. [. . .] "Placeholders” diagram the spaces previously claimed by the collection objects, earnestly testifying only to the discrete, formal bounds of the lost matter. Purportedly a stand-in until the physical artifacts and their layers of associated content return, the frames and guidelines of the placeholders, rendered in tape, thread, and vinyl, invite a projection of meaning in their own right." 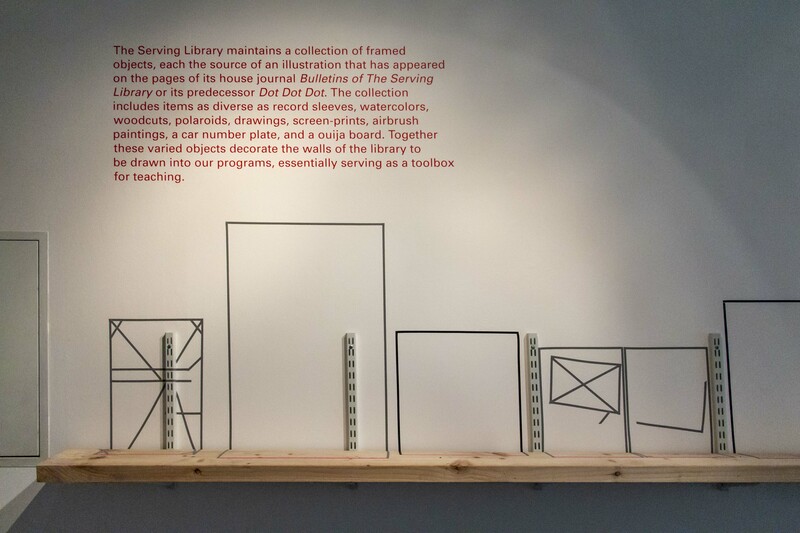 From the exhibition essay, "The Serving (Library): IN OTHER WORDS," co-authored by Johanna Flato and Sophie Tolhurst.